Use Fire Strike to test the performance of dedicated gaming PCs, or use the Fire Strike Extreme preset for high-end systems with multiple GPUs. 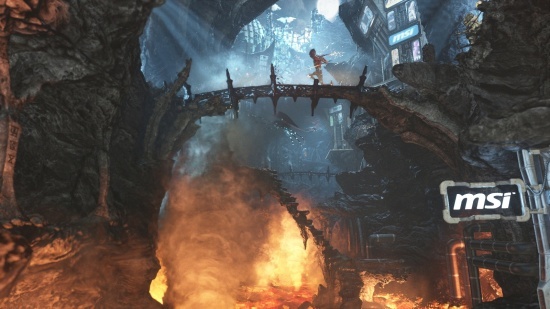 Fire Strike uses a multi-threaded DirectX 11 engine to test DirectX 11 hardware. 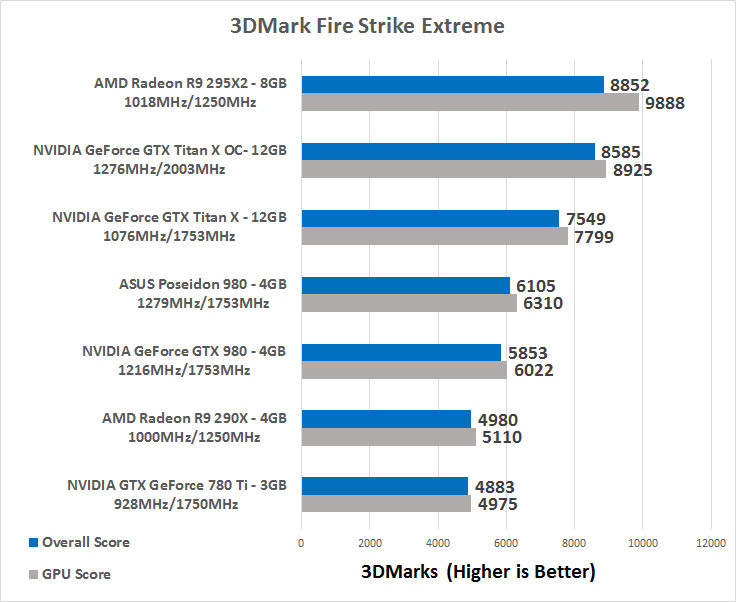 Benchmark Results: The 3DMark Fire Strike Extreme benchmark had the NVIDIA GeForce GTX 980 video card coming in with an overall score of 5,853 and the GeForce GTX Titan X easily bested that with a score of 7,549. The AMD Radeon R9 295X2 led the benchmark chart though with an impressive overall score of 8,852. Benchmark Results: The 3DMark Fire Strike Ultra ‘4K’ benchmark had the GeForce GTX Titan X coming in at 4,000 and the Radeon R9 295X2 was at 4,899.